CENTRAL, S.C. – Student run organizations aren’t a new thing on campuses across the nation, but what about student-run businesses? Watching how his children benefited from internships when they were in college, Southern Wesleyan University President Todd Voss explored ways for students to gain experience that went even deeper than a traditional internship. 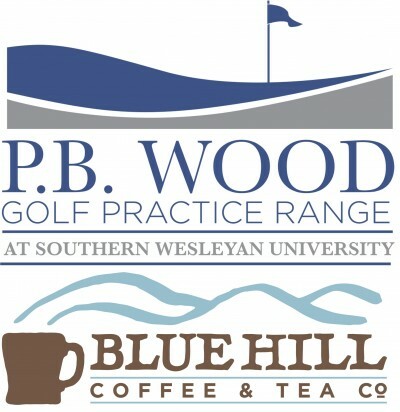 Last fall, Southern Wesleyan opened the P.B. Wood Golf Practice Facility, which includes a driving range and putting green. The university also hired their first student business interns, offering an opportunity to manage the day-to-day operation of a new facility quickly getting noticed by area golfers. Wanting to see such opportunities expand, the university is now offering more positions to enterprising students to apply what they have learned in the classroom as they gain experience as part of Blue Hill Coffee & Tea Co., located in its campus life center. Two new positions, one in marketing and human resources and another in purchasing and accounting, have been created along with 12 – 15 barista positions for the new gathering spot slated to open this fall. In the Spring/Summer issue of SWU Magazine, Voss explained the meaning behind the new name. “’Blue Hill’ is derived from ‘Blue,’ in support of our historic school color and the way our campus community makes up Team SWU. ‘Hill’ is a reference used for decades by alumni as in “The College on the Hill,” he said. Thanks to a generous foundation grant, support from Pioneer College Caterers and amazing work by the campus Physical Plant team, Southern Wesleyan is extensively upgrading and expanding its previous coffee shop and snack shop space, knocking down walls and creating an inviting, multi-level area with more seating and features that include a small moveable stage area for performances and events. A new coffee roaster partner has been selected as part of a commitment to providing the freshest possible product to enhance the new menu. “These paid coffee house student interns will gain important leadership skills, experience a myriad of real life business challenges and results, and recognize the importance of key business qualities that include teamwork, thoroughness, cost control, marketing, customer service, product consistency, hiring and training and contingency planning,” said Voss. The “big picture,” according to Voss, is to provide an entrepreneurial environment, giving students who are energetic self-starters a management opportunity that will provide a strong foundation that will be in place when they graduate. Voss envisions the student-operated businesses on campus to be self-supporting with revenue over expenditure being slated for student scholarships. Additional internship options are being considered for the future.